← Long weekend that was-for some! Family celebrations are fun! In My Kitchen. Golly how did it get to be November? Some of the leftovers of the magnificent cake my daughter made for the event. Ready to pack to put in the freezer for later use. It was beautiful and looked amazing as well as tasting sensational. She is VERY talented! 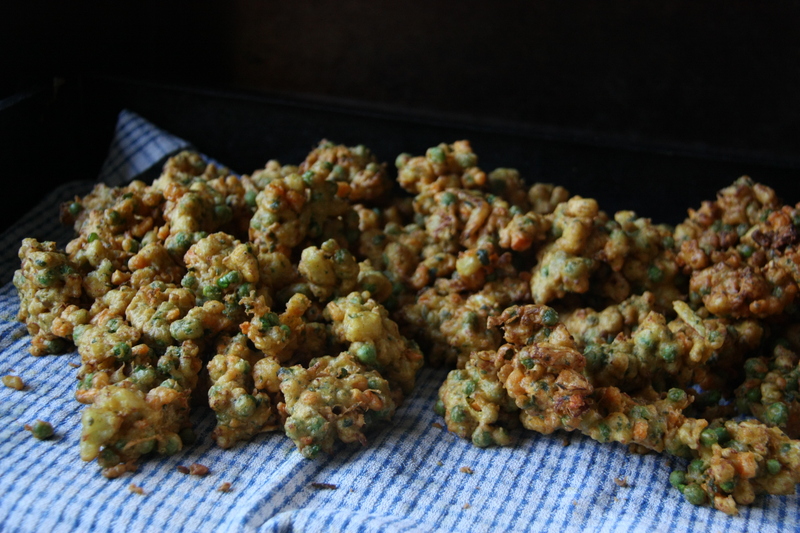 I made some vegetable pakora, they looked much better on the serving platter, see my previous post! 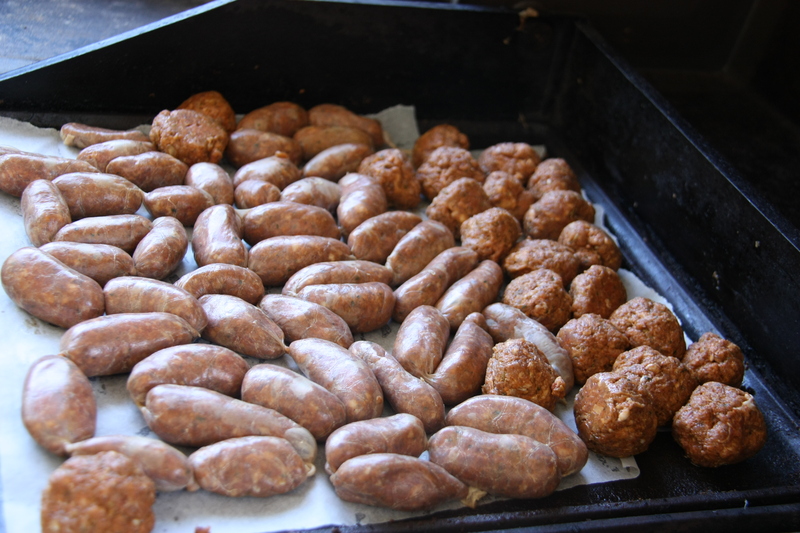 I cooked up some VERY spicy tiny sausages and meatballs. These were a great hit. 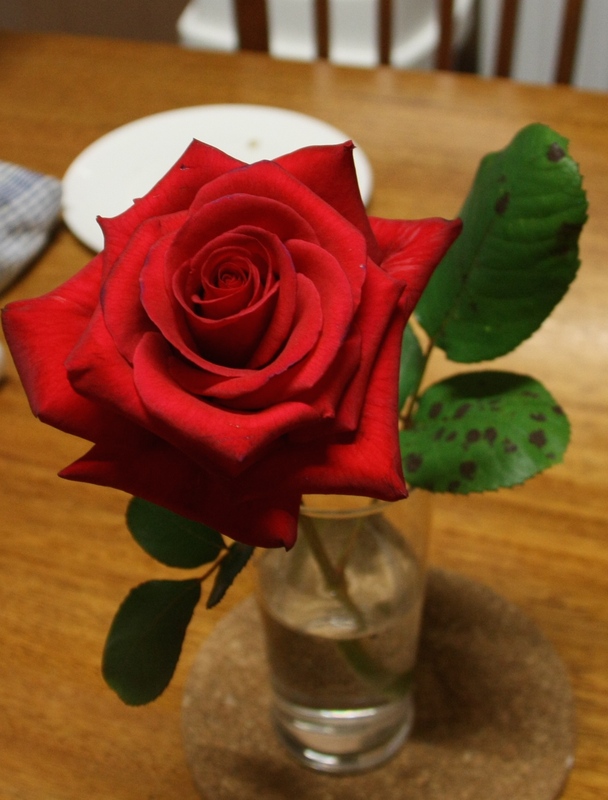 In my kitchen are a few beautiful roses, this one is a week old in the photo and still holding up well. 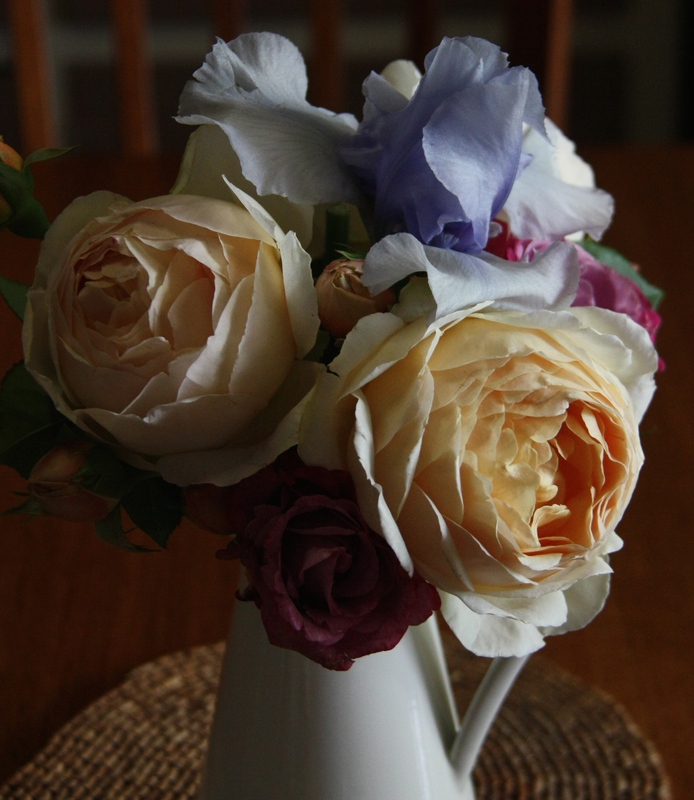 These beautiful ‘Jude the Obsure’ blooms are from a bush our daughter gave us after her wedding. Very precious to me. 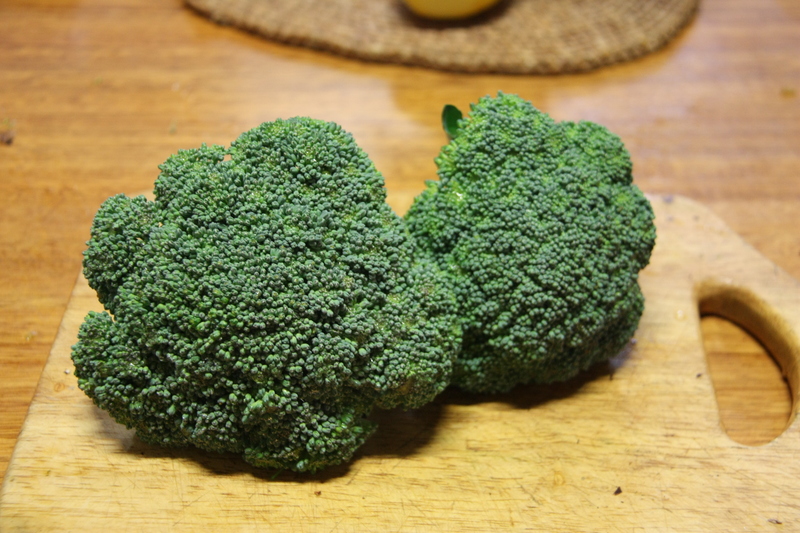 In my kitchen are 2 heads of broccoli freshly cut waiting to go into our tummies. 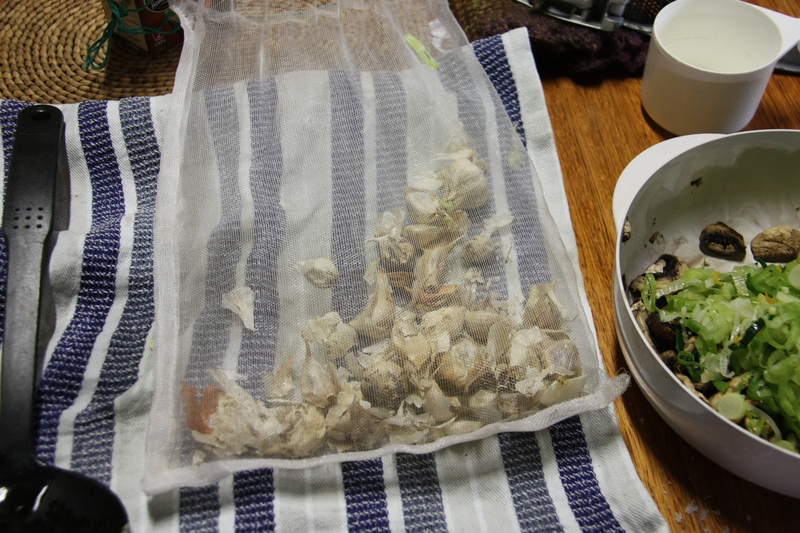 Sadly, I have to say goodbye to the last of last seasons garlic. This bag was chockers and has lasted really well. Only a couple of weeks till new crop is ready I think. 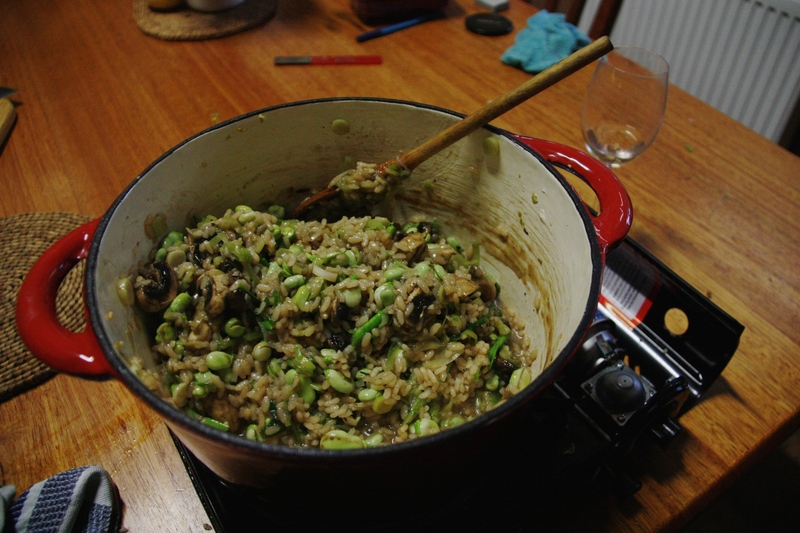 In my kitchen is a leek, broad bean and mushroom risotto made from freshly picked veg. It was beautiful! 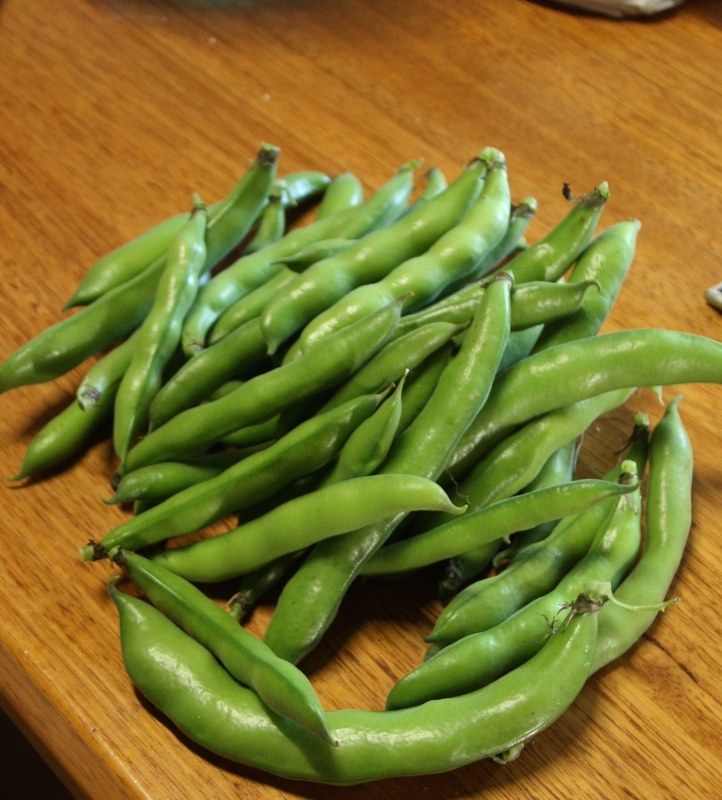 Some of the broad beans, nearly finished for the season so enjoying them while we can. In my kitchen is a smoked trout. We are so lucky having such an excellent butcher who makes his own small goods and they are sensational. Thanks Wayne from Trafalgar Butcher Shop. Such an easy appetiser, trout, some bread or crackers to serve it on and your done! Another local producer who grow the most amazing organic vegetables with love. Wendy and Tony go out of their way to make sure their produce is first rate and their service is exceptional. Wendy delivered these beautiful lettuce and daikon and some other goodies to me at work. Love shopping that way! It is nice knowing that the food I served for the after party BBQ has been grown with so much love and care. Check out Thorpdale Organics, it’s worth it. Didn’t get to take a photo of the view from the kitchen window but it’s looking pretty good! Thanks Celia from Fig Jam & Lime Cordial for giving us this opportunity to see and share kitchens from around the world. This entry was posted in Broad Beans, Broccoli, Flowers, Garlic, In The Garden, Mushrooms, Vegetables and tagged broad beans, In my kitchen, Leek risotto, party food, smoked trout, Thorpdale Organics, Trafalgar Butcher Shop. Bookmark the permalink. 23 Responses to In My Kitchen. Golly how did it get to be November? What wonderful things are happening in your kitchen this month, ATMT! It would appear that both you and your daughter are talented in equal measure! 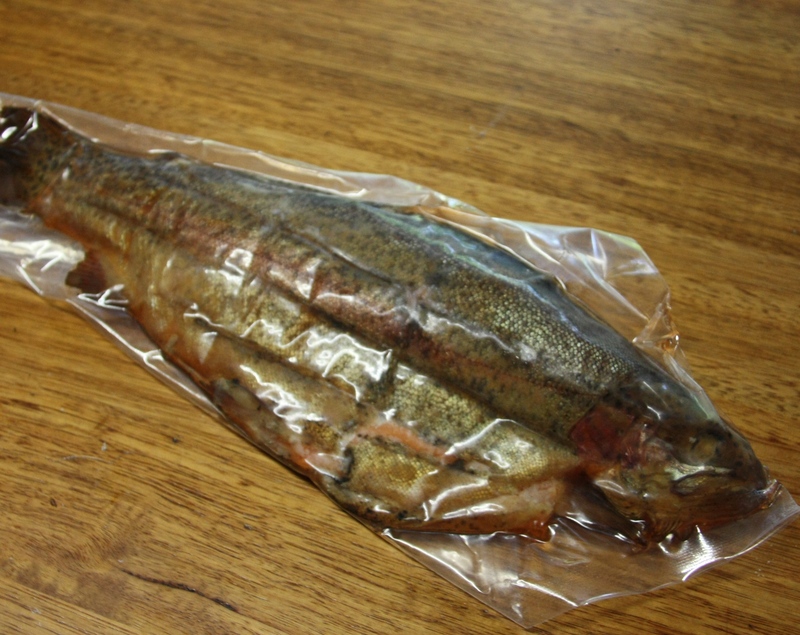 I love smoked trout but it is really difficult to find a good local supplier. Lucky you. You have some beautiful produce there. We didn’t manage to get garlic or broad beans in this season, so I am kicking myself and looking on enviously. 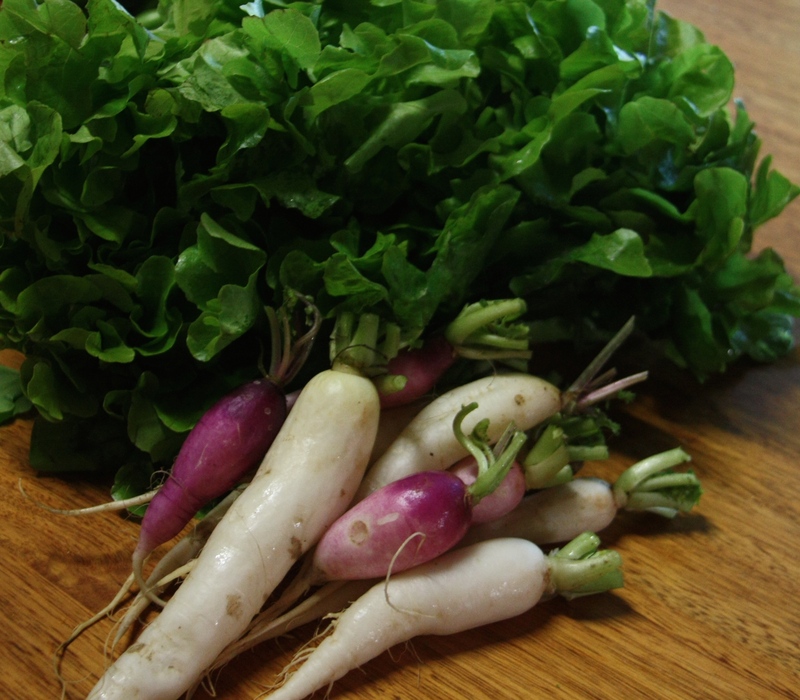 What are your plans for the daikon? G’day! WOW! 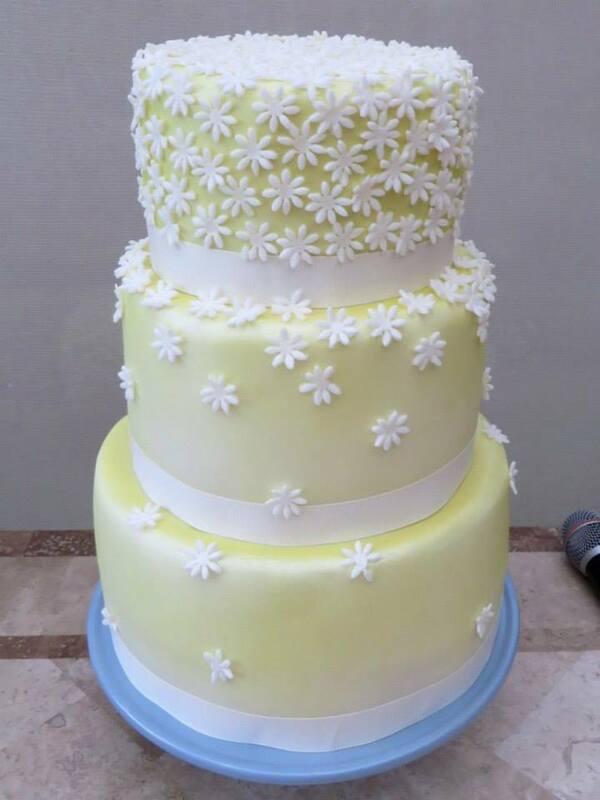 What a beautiful cake! VERY talented daughter! Love pakoras too! Thanks so much Joanne. Yes, she is talented as well as gorgeous, she’s done some amazingly creative cakes and has a real flair for design. This pakora recipe from Annabel Langbein is just great. Nice to serve something a little different. Beautiful produce and roses! And the cake is gorgeous. Thank you for sharing your garden, I’m looking forward to hearing more about what is going on in your kitchen and garden. Thank you Liz. Hope you enjoy future posts! The cake your daughter made is absolutely gorgeous! All that fresh produce also looks wonderful, I am jealous. We are now in autumn and the growing season is coming to an end. Thanks for sharing a view into your kitchen. It all looks so delicious, and the cake your daughter made….oh my! What a lovely idea to have your greens delivered to your work. I bet your co-workers are very envious! Thanks Anne! I am indeed very lucky to have wonderful access to such beautiful things. Wow. Such yumminess in your kitchen this month! That cake looks just scrumptious… and I’m loving the detail you’ve captured in that red rose. Your risotto looks amazing and has me drooling just a little bit – as do those pakoras. Thanks Lisa! I must admit those pakora ara a bit addictive once you start. That nicely smoked trout is appealing. Shame I’ll miss the Thorpdale Organics at the markets- I am heading down your way soon, but we travel throigh the area mid week . I am also down to my last garlics- there will be a gap! Hi Francesca, if you ever come down the Princes Hwy through Trafalgar, make sure you check out Trafalgar Butcher Shop for Wayne’s home made cabana, smoked trout and bacon. Cheers! So much gorgeous home grown veg! Our broccoli is finished now, but I’ve just bought new season garlic from the fruit shop, so I don’t think it will be long until you have more. I think I need garden risotto for breakfast! And can I just say..your daughter is a genius! That cake is magnificent! Thanks Celia, I do feel just a little bit proud of her! Congratulations to your son & his partner. What a special cake that was! Thank you, I do love the roses. Would be nice to stretch having them around a bit longer. everything looks so delicious and fresh in your kitchen. and what a lovely cake.